University Reproductive Associates (Wayne) - Book Appointment Online! 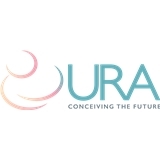 University Reproductive Associates has earned its national reputation first by being passionate patient advocates, and by delivering the most appropriate cutting-edge or otherwise treatments to help make our patients dreams come true. As IVF has become more successful, our group has worked very hard to control the problem of multiple pregnancy, a known risk of fertility medications. Our rate of triplet pregnancy after IVF continues to fall, even while our IVF pregnancy rates continue to increase. We are extremely proud of this record of safety and success. Our affiliation with New Jersey Medical School affords us unique opportunities to offer our patients participation in a variety of clinical research studies. We are the only New York / New Jersey Program to have been selected as a site for the prestigious Reproductive Medicine Network. She takes her time and explains everything in detail which is great!! Dr. Morelli was kind, informative, and very relatable. She made my husband and I instantly comfortable and we were both impressed by the time spent and detail given on our initial appointment. Glad we went with her! Dr. Fechner is Amazing. Staff was professional and extremely courteous. I will recommend this office to anyone near and far! Great fast and very friendly staff.